If you take a walk, the easiest animals you will likely see are birds. Birds are some of the most fascinating creatures on earth. We wake up to their songs in the morning; they are in our cities, farms and even schools. They are however facing many challenges on planet earth, and you can do something to help them. By age 14, Washington was already on a career path towards nature interpretation and conservation. He is a passionate author and nature photographer. He is a National Geographic Explorer, linking with his study on urban African Crowned Eagles. His MSc. study, from Kenyatta University, focuses on urban birds of prey. 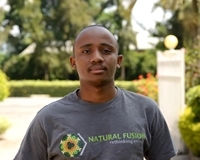 As a young conservationist in his country, he has become a voice of hope for the future scientists. Washington’s dream is to see a world where everyone cares about nature, and wants to help birds have a better home on earth.